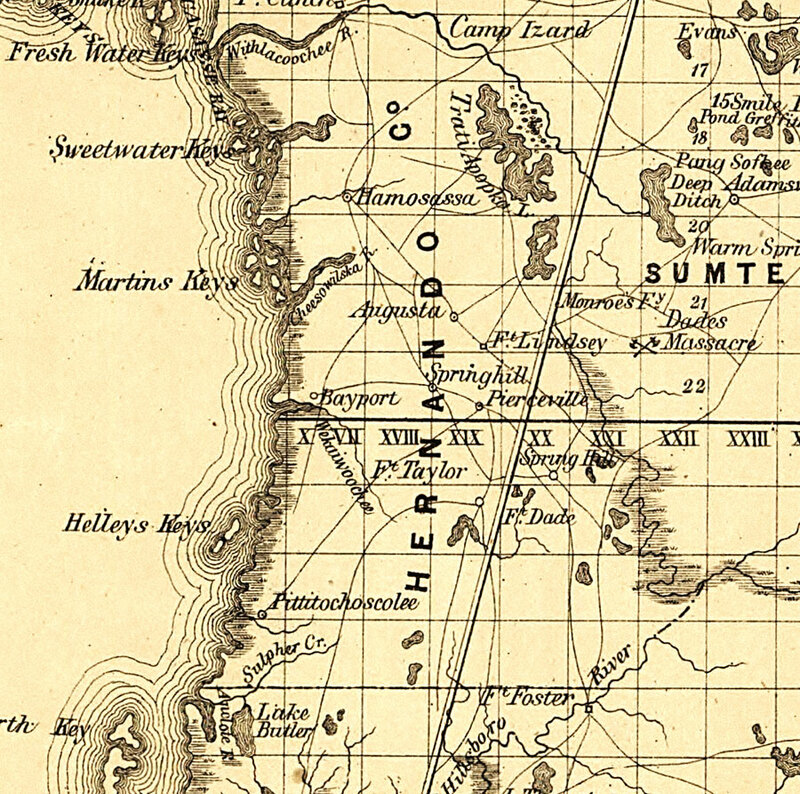 Description: Railroad map of Hernando County, Florida showing river drainage, cities and towns, roads, and railroads in 1859. Several U.S. Forts are shown as well as the site of Major Dade�s Massacre (1835- Second Seminole War). Township grids based on the Tallahassee basis parallel and the Tallahassee prime meridian shows the extent of land survey in Florida. The map scale is 1:1,140,480.